Ever imagined you would find things so bizarre on wheels? At Sudha Car Museum, you are sure to stumble upon cars of all sizes, shapes, and themes. Burger-shaped car, anyone? If you thought weird is the new cool, Sudha Car Museum has been doing wacky (and sometimes weird) cars since years. Sudhakar Yadav, the person behind this museum is often regarded as the world’s most bonkers car maker, has won many awards including the Guinness Book Of World Records. With more than 150 varieties of cars, the museum can keep you busy for a solid 60 minutes. Behold your amazement when you walk into the museum — right from a condom-shaped car to camera lens one, we found plenty of everyday objects modeled as cars. While we thought the toilet-shaped and helmet-shaped cars were creative, we couldn’t take our eyes off from the handbag and stiletto cars. And what’s more surprising is that all these cars are handmade. They are accompanied by information on the make and manufacture, the manufacturing time, and their average velocity. 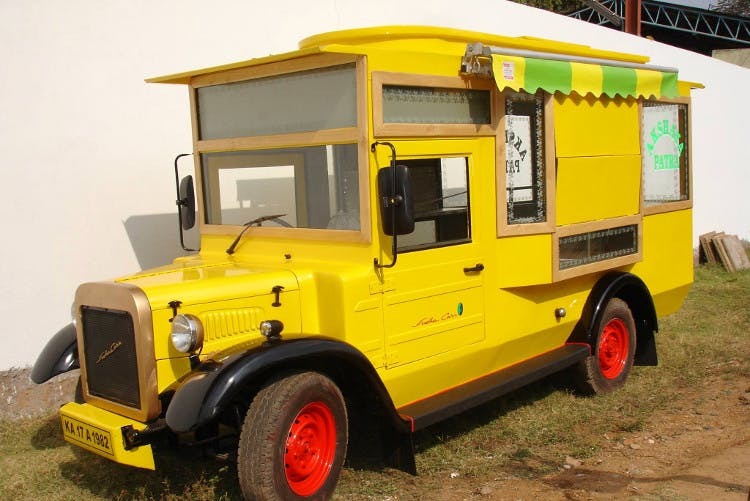 While most of the cars are creative and not for sale, Sudhakar has designed several commercial cars for AP Tourism, Salar Jung Museum, Coca-Cola, Servo, Surya Cements etc. So, if you have spotted a few on the streets of Hyderabad, now you know their maker. Plus, there are several vintage cars that you can gawk at too. Whether you are looking for an offbeat date or interested in taking your kiddies to a museum that will make them squeal in joy (and not cry unlike other museums), this one is a perfect destination. So, get here. Get psyched! Did we completely forget to tell you there is a fish spa inside? Yup, so get your feet pampered after all that walk in the musuem.